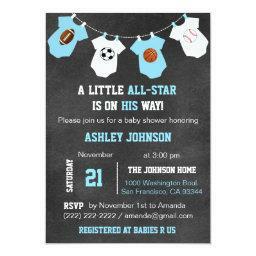 When you are looking for ways to make your baby boy shower a real hit there plenty of sports for you to choose from. 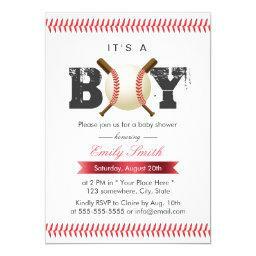 These sports themed designs give you a lot of great baby shower invitations for boys. 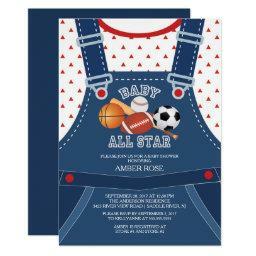 So why not treat mommy to celebration in her honor that features her favorite sport. 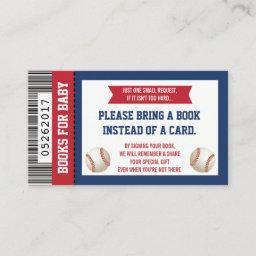 And while you're at it you might want to invite daddy, too. 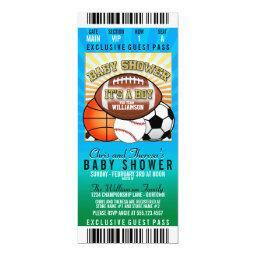 There are plenty of great options when it comes to celebrating a sports themed baby shower. 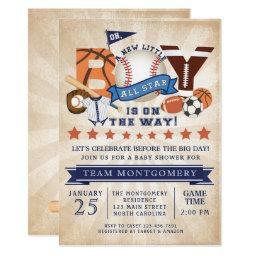 It doesn't matter if you're crazy about baseball, basketball, soccer, or football there are plenty of ways to celebrate. 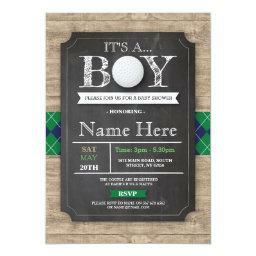 On top of that there are plenty of other sport options that make great parties. And we are pleased to offer some of the very best right here. 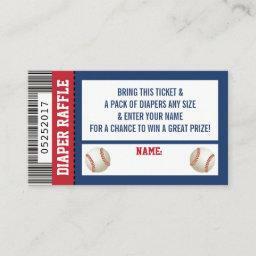 When it comes to planning a fun baby shower it just takes a little bit of creativity to find a party idea that will be a hit. 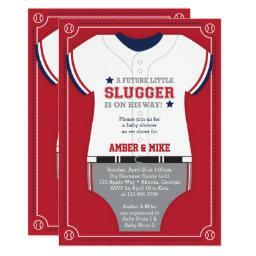 And when you've got a mommy-to-be with a passion for athletics the job is even easier. 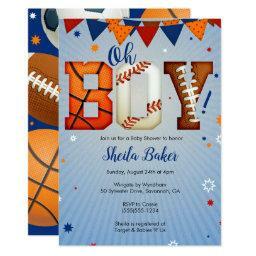 With hundreds of different designs to choose from, an easy to customize templates you're bound to find the perfect card and make it your own. When you're ready to start customizing the text and design elements just click the thumbnail and start adding your details. Make sure your shower is a hit. 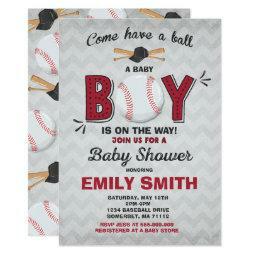 Score big with these affordable sports baby shower designs.